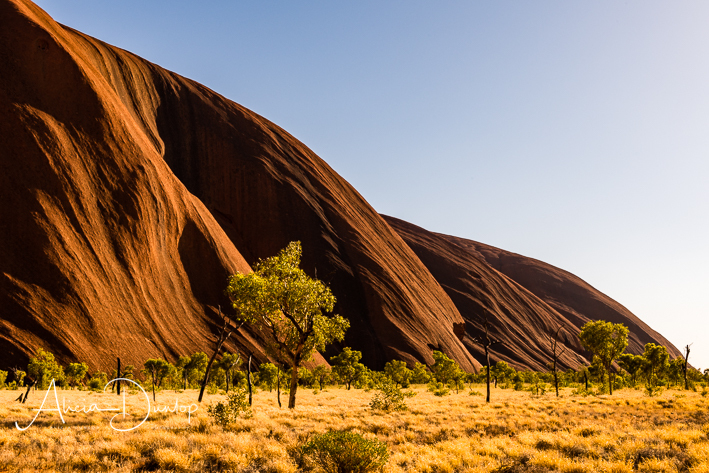 Uluru – Just a big rock? Hello & welcome! 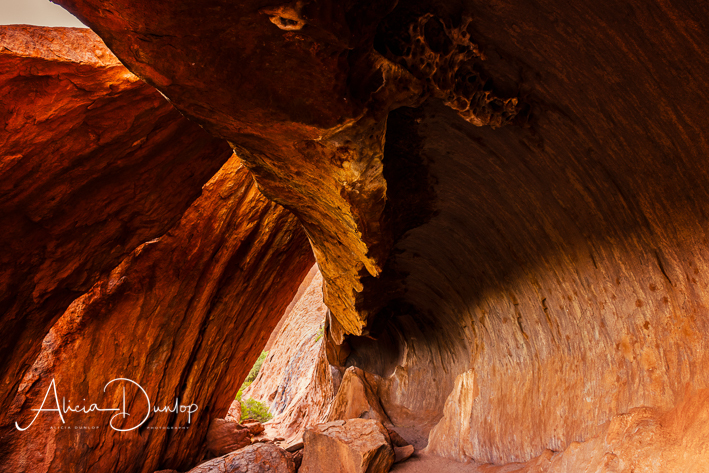 Last time I shared my experience of our trip to the Pinnacles Desert in Western Australia. 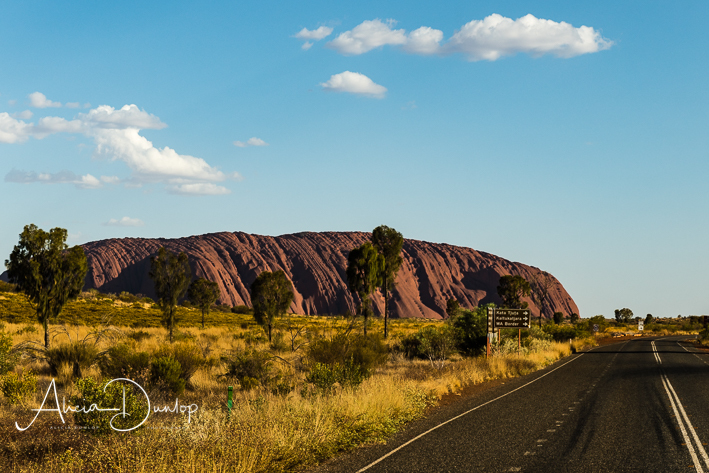 Today I want to pose a question… Uluru is it just a big rock? The national park Uluru stands within is a UNESCO protected site. But I’m not going to go into detail about Uluru’s geology or culture. It is fascinating and you can find out more about it via a straight forward internet search. However, today, I want to tell you what and how I felt when I visited Uluru. 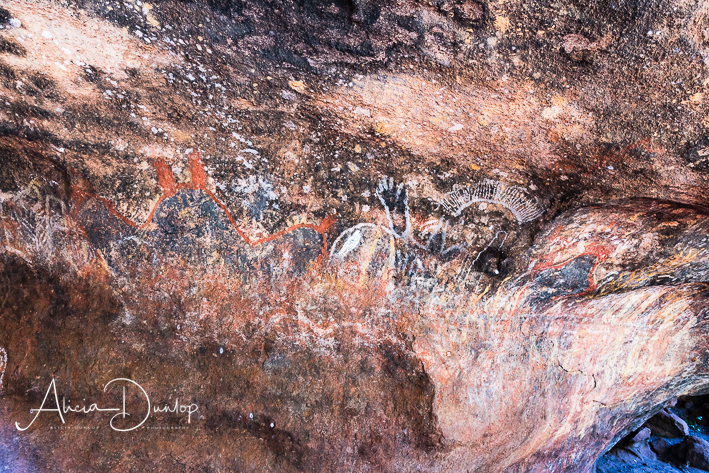 Firstly it is an enormous monolith that has huge significance for Aboriginal people. Secondly, it has rock pools/water holes, cool caves and is surrounded by vegetation. All of these providing a life line to the thriving eco-system that surrounds Uluru from the relentless heat of the Australian desert sun. Approaching Uluru by road the grooves and caves become more visible. I had absolutely no idea just how much I had underrated this awesome place until I stood at the foot of Uluru looking up at its baked red oxidised crust covered with grooves and caves. It dwarfed me and the trees that surrounded us. The whole national park has a raw, rugged, fragile beauty that until you stand within it you cannot fully appreciate it. Photographs simply do not do it justice. As I wandered along the foot path that circles the foot of Uluru, I could hear the rustle of the grass as lizards darted from A to B in the undergrowth. The trees were full of birds singing their morning songs. The sounds of an oasis in a desert perhaps. When I rested my hand on the grey walls inside a cave within the Rock, I was surprised to find the inner wall was warm to the touch. Some of you reading this will probably be thinking of course it was warm it is being baked every day. But I expected it to be cool, after all it was grey and quite deep within the rock – sheltered from the baking sun. Aside from the physical warmth, I felt as if there was an emotional warmth enveloping and welcoming me. 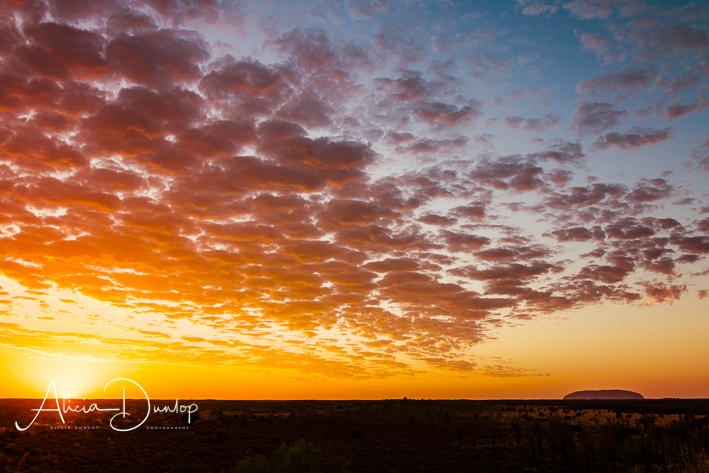 I can’t explain it more than by saying that Uluru has a soothing, calming energy that I have never experienced before. As I wandered around a section of the base I felt as if I was part of something very special. I felt I belonged which, for a location that was completely new to me and I had never set foot near before, did surprise me. For these reasons, Uluru is the most spiritual place I have visited to date. Simply put, I think it feels better than it looks. Uluru is not just a big rock. It is so much more. Don’t just take my word for it! Go and experience it for yourself. Sunrise and sunset are particularly awe inspiring as you can see from the images included in this blog. Next time I will tell you about my day on The Great Barrier Reef a huge bucket list item for me. Thanks for reading! Where will your next adventure take you? Warmest wishes, Alicia.